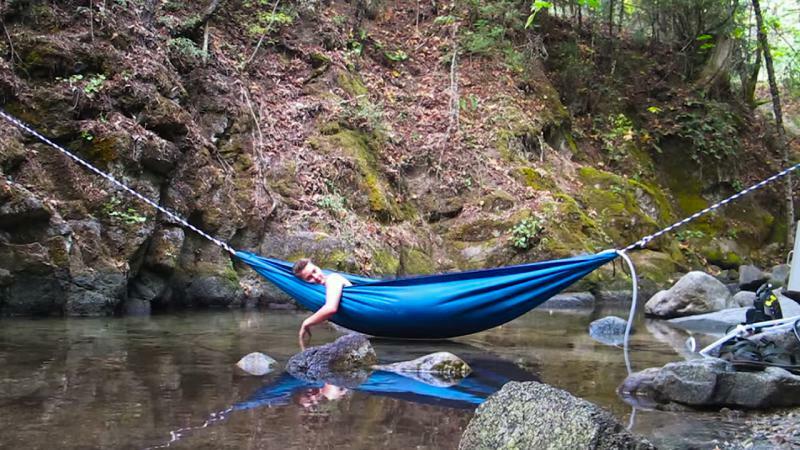 When Spanish colonist came to America in the 17th century they found with great surprise that the Native Americans are using hammocks. And no, they weren’t used for relaxation and total bliss like we do now in the 21st century. They were made from the bark of a hamack tree with the purpose to protect the people inside from snakes, biting ants and all other harms coming from the ground. 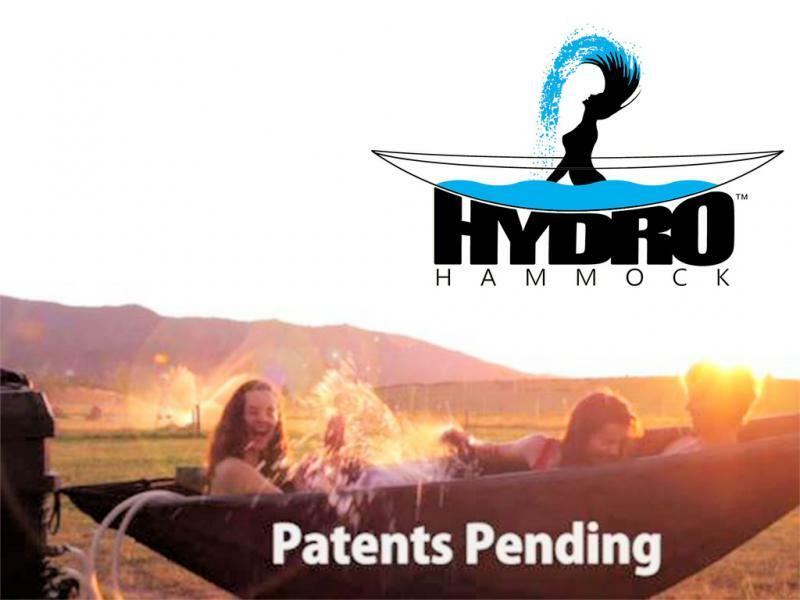 Now an inventor called Benjamin Frederick and his crew went a step further from the traditional hammock and created a fully functioning water hammock which they named the hydrohammock. 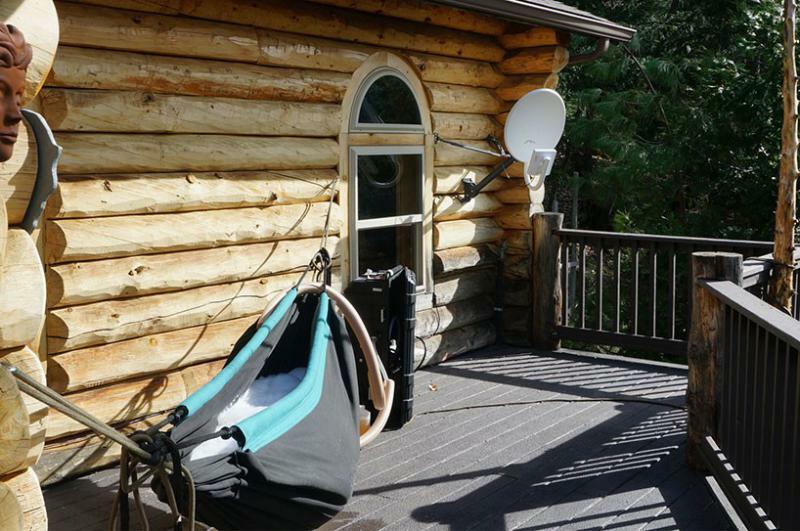 It has its own water heating system that can heat pressured water from basically everything: from a simple garden hose to a lake. 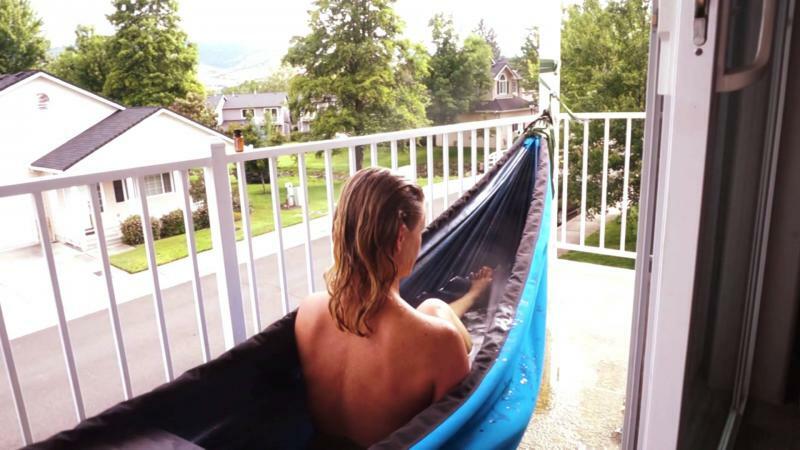 The hammock is made out of a strengthened synthetic fabric with the idea to take the weight of two adults and 50 gallons of water and it is slip resistant. 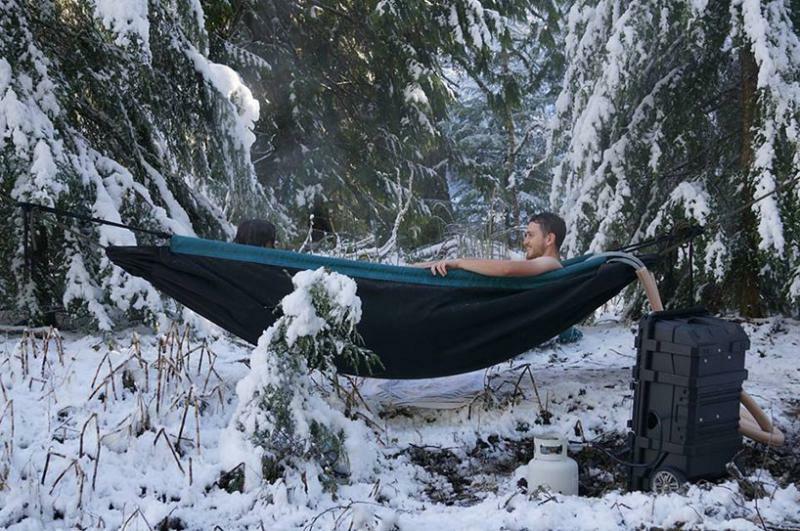 To sum it up: a hot tub in the form of a hammock hanging 6ft above the ground. The only question I have is: Why are we not funding this?